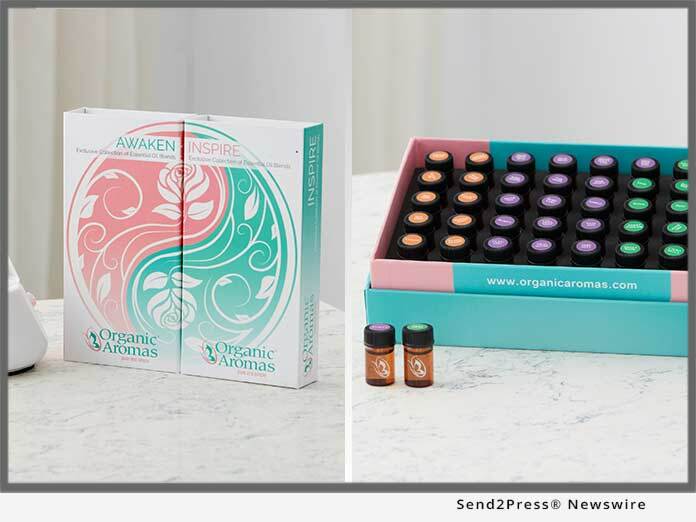 BOISE, Idaho, Feb 22, 2018 (SEND2PRESS NEWSWIRE) — Organic Aromas(R) (www.OrganicAromas.com), a leading maker of premium and specialty Nebulizing Diffusers(R) for aromatherapy, announced today that the Company’s products are to be showcased today for the first time on national network television. Organic Aromas will participate in part of a special segment called “Winter Relaxation Essentials” on CBS’ award-winning talk show “THE TALK.” The show will be airing Thursday February 22, 2018 broadcast at 2:00-3:00 p.m., ET; 1:00-2:00 p.m., PT. This appearance on the television show is a major opportunity for Organic Aromas to share its’ unique product line with a much larger and broader audience. Organic Aromas is excited to highlight the distinct advantages that Nebulizing Diffusers(R) offer those who love using essential oils. This appearance on the CBS talk show THE TALK is a huge platform for Organic Aromas to demonstrate on a national level the power and beauty of these unique devices. Participation in today’s show comes on the heels of the successful launch of the Company’s one-of-a-kind, new ceramic Opulence Nebulizing Diffuser and other exciting new and exclusive products late last year. Nebulizing Diffusers(R) are superior because they can disperse strong aromas across a wide area in a short time, allowing the user to quickly and fully enjoy the complete therapeutic value and benefits of pure essential oil only. With no need for heat, water or plastic, Organic Aromas aims to restore health and true well-being to the aromatherapy market. Taking part into todays’ show on CBS is a great chance to truly expose this special technology to more of those who enjoy the strong and natural aroma of pure essential oil. With the advent of its’ proprietary Nebulizing Diffuser(R) technology, Organic Aromas has the chance to revolutionize the essential oil market by introducing some of the most beautiful and effective aromatherapy products on the market today.